Discussion in 'Marketplace' started by Famous when dead, Apr 4, 2019. Celebrating this years Record Store Day release from the forthcoming album California Son. (Not currently showing on the US site). Like the look of them,might go for the grey.just noticed its a wreath,how very Morrissey. Has anyone ever bought tees off Mporium? Are they decent quality, cottony soft, or do they feel like cardboard? I've bought one...the "Who Will Protect Us from the Police" one that came packaged with some iteration of LIHS. Nice enough quality--neither better nor worse than the type you'd get at a concert. Holds up well after multiple washes. If you like the design enough, I wouldn't hesitate to order. I like them, but never ordered by Mporium, do they ship to Europe mainland [still no Exit or England]within 10 days after paying? 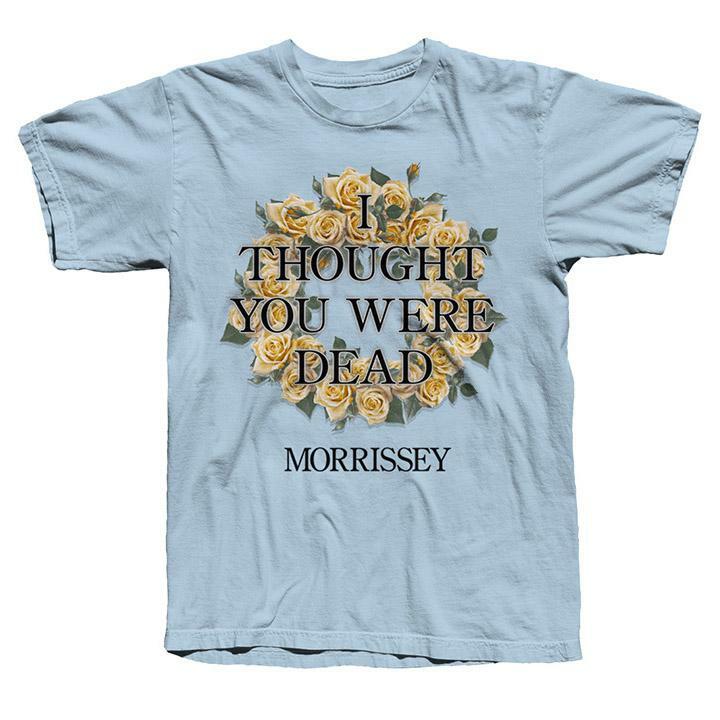 Nice looking tshirt, vintage Moz humour which is great to see. They are quite decent quality. Some time ago I bought t-shirts one with Edith Sitwell other with just his name, plus a black and white varsity jacket. I don't buy many, because most of the designs are awful. Like this one for Record Store Day. I love Morrissey, but the merchandising design is not very tasteful, I am sorry to say. I also see death being yellow. I'm going to get the dark beige. .
Can I ask, what did you notice first... that it had four holes in it? 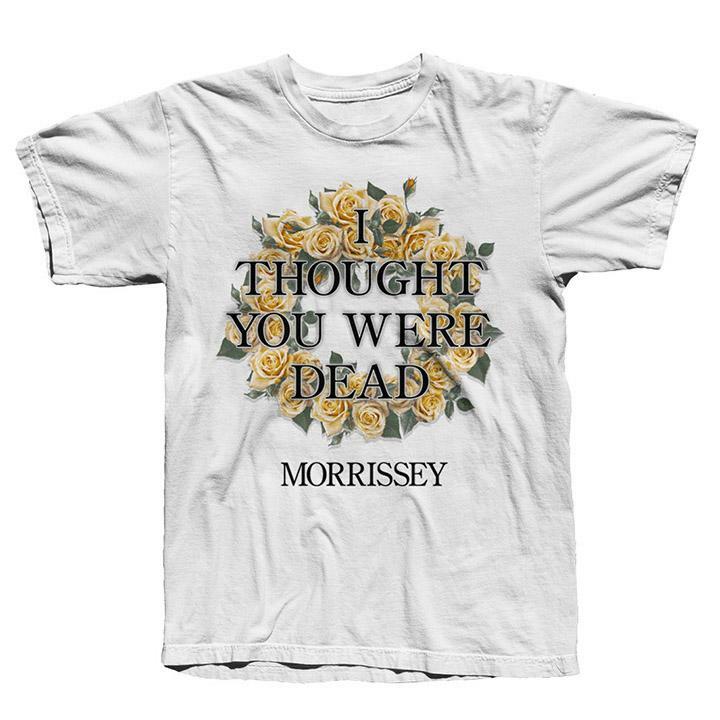 "Morrissey" should be printed on the back. Shouldn’t those roses be blue? Is this a Snake Plissken tee, then?